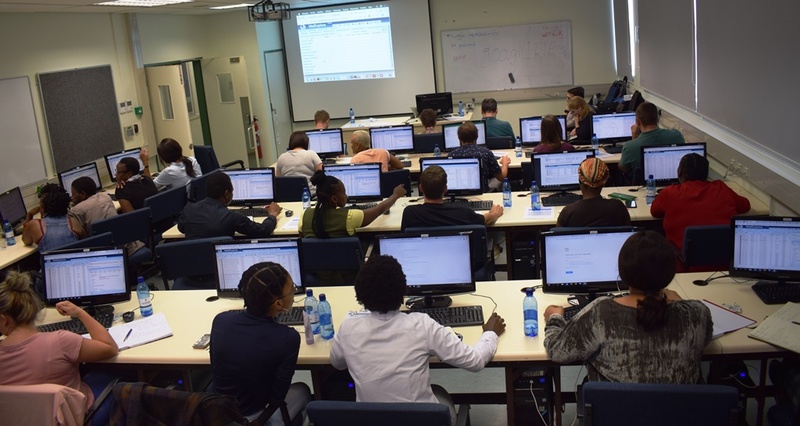 The African Centre for Gene Technologies (ACGT), the University of Johannesburg and the University of Pretoria organized the 2019 Advanced Metabolomics Workshop that was held at the University of Pretoria from 13-15th March 2019. The workshop provided a capacity building platform to address key issues and challenges in the field of metabolomics. The workshop was facilitated by this panel of elite metabolomics experts. The facilitators were Dr Reza Salek (International Agency for Research on Cancer, Lyon, France), Dr Karl Burgess (University of Edinburgh, Scotland, UK), Dr Fabien Jourdan (INRA Toulouse, France), Dr Justine Bertrand-Michel (INSERM Toulouse, France), Dr Naomi Rankin (University Hospital Wishaw, Scotland, UK), Dr Jasper Engel (Wageningen University & Research, The Netherlands) and Dr Fidele Tugizmana (University of Johannesburg, RSA). 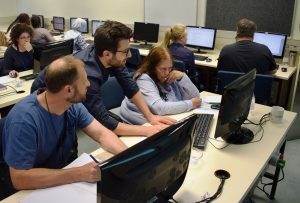 This workshop covered advanced metabolomics topics using a combination of lectures, interactive round table discussions and computer-based practical sessions. The topics covered in the workshop included applications of metabolomics (clinical, plant/agricultural, industrial), LC-MS/MS/NMR metabolite identification, simple and multivariate statistics, data standards and metabolomics resource, network-oriented metabolomics data mapping, advanced data analysis, lipidomics, metabolomics networks and using fragmentation to enhance metabolite IDs. Throughout the three days, the delegates also had a chance to ask project-specific questions and advice from the with facilitators. 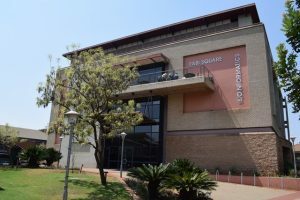 oria, University of Johannesburg, University of the Witwatersrand, Agricultural Research Council, Council for Scientific and Industrial Research, North-West University, University of South Africa, Tshwane University of Technology, University of the Free State, Walter Sisulu University, University of Cape Town and the University of Venda. Delegates exhibited different scientific backgrounds and had the chance to get to know each other through two-minute elevator-type flash presentations on the first day of each workshop. Some fun was had too! 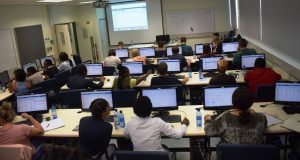 The ACGT would also like to wish all the participants of the workshops all the luck with their work and future in metabolomics. Furthermore, the ACGT sends much deserved gratitude to all the members of the organizing committee; Mr Molati Nonyane, Mrs Itseng Malao, Dr John Becker, Dr Fidele Tugizimana, and the European visitors for all of their efforts in making this event a success. The ACGT would also like to extend their gratitude to the sponsors of this event in Thermo Fisher Scientific and the Embassy of France in South Africa. For any metabolomics-related capacity building and networking queries, kindly contact Mr Molati Nonyane, ACGT Liaison Scientist (az.ca1555893455.pu@e1555893455nayno1555893455n.ita1555893455lom1555893455, 0124206139). 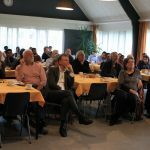 The 2019 Metabolomics symposium was held at the Innovation Hub from 11-12th March 2019. 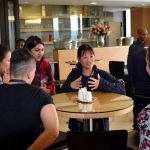 This symposium was aimed at principal investigators, postgraduate and PhD students currently performing or planning to work in the metabolomics field. 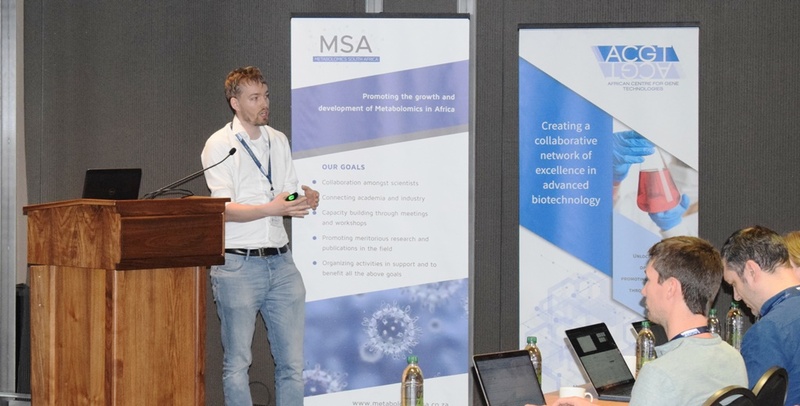 This event was an opportunity for both local and international metabolomics researchers to share their findings, to network and identify synergies so as to foster further collaboration amongst metabolomics researchers within SA and across Europe. 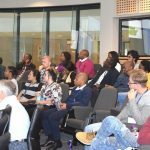 This symposium was mainly a platform to officially launch Metabolomics South Africa (MSA). MSA is a non-profit organization seen as an opportunity to promote and improve the profile of metabolomics research and technology in South Africa, foster networking, training, capacity building, information sharing, mentoring, career opportunities, leadership training and professional development. The symposium was a first official event hosted by MSA with the assistance of its partner, the ACGT. The first day of the symposium was themed “Metabolomics, where are we?”. Topics discussed throughout the day included the overview of metabolomics in South Africa, good metabolomics data, role of metabolomics in health sciences, lipidomics and plant metabolomics. The discussions on the second day of the symposium were under the theme “Metabolomics, informatics, statistics and applications” and covered topics such as metabolomics networks, statistical models, NMR metabolomics and lipidomic profiling. At the end of each day, attempts were made to finish off with round table discussions to address burning issues or questions on the day’s talks as well as other issues regarding to metabolomics or MSA. Dr Reza Salek is currently with the International Agency for Research on Cancer, Lyon, France. Dr Salek has extensive experience in metabolomics research in academia, industry and research institutes with extensive metabolomics knowledge, both analytical and data handling. Dr Salek has worked in clinical trial settings and is interested in setting up workflow infrastructures for metabolomics data handling and analysis using cloud computing. Dr Karl Burgess is from the University of Edinburgh, Scotland, UK. Most of Dr Burgess’s workfocuses on the use of mass spectrometry in biomedical research, particularly in the understanding of infectious disease. This multidisciplinary research area builds on his fruitful collaborations with cell biologists, engineers, bioinformaticians, instrumentation developers and clinicians. Dr Fabien Jourdan is a research scientist at the French National Research Institute for Agricultural Research (INRA). 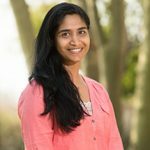 Dr Jourdan develops computational methods to study human genome-scale metabolic network aimed at retrieving parts of the metabolism affected by genetic or environmental perturbations. These methods are mainly applied to toxicology and human health. Dr Naomi Rankin is from the University Hospital Wishaw, Scotland, UK. Dr Rankin’s research interests focus on the use of NMR for metabolite profiling and advanced lipoprotein profiling of serum and plasma samples. She is particularly interested in the use of these methods in epidemiology/clinical trials, especially with a view towards translation of NMR molecular profiling approaches into the clinic. Dr Jasper Engel is a researcher at Biometris at Wageningen University & Research. Dr Engel’s primary research interests are in applied statistics. 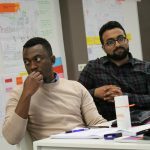 He is interested in the development and careful evaluation of statistical approaches for processing and analysis of complex high-dimensional data sets, and their application in high-dimensional chemical, biological or medical problems. Over the last several years his research has mainly focused on method development for analysis of metabolomics experiments. Dr Justine Bertrand-Michel is the co-director of the MetaToul Lipidomic facility at INSERM in Toulouse, France. Dr Bertrand-Michel is a lipidomics expert and she was invited to this symposium because of her work in lipidomics a field that most people in metabolomics have shown a keen interest in. Dr Fidele Tugizimana is the chairman of MSA, a research scientist at the University of Johannesburg, a specialist scientist in the international R&D management of the Omnia (Pty) Ltd company (SA) and a scientific consultant in the L.E.A.F. Pharmaceuticals LLC (USA & Rwanda). Dr Tugizimana applies metabolomics approaches in plant-environment interactions (involving abiotic/biotic stresses, beneficial microorganisms, etc.). Prof Du Toit Loots is the secretary of MSA and a key member of the national metabolomics platform based at the North-West University in Potchefstroom. 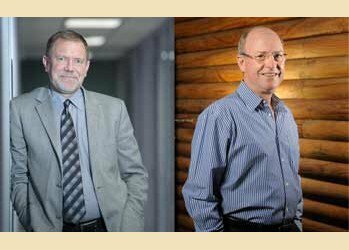 Prof Loots has made a substantial contribution to the advancement of metabolomics, by means of developing much of the published methodology and applications in terms of identifying new markers for better disease characterization, diagnostics and treatment since 2002. Dr Aurelia A. Williams is the deputy secretary of MSA and a senior lecturer at the biochemistry department of the North-West University. Her research interests include characterizing the impact of molecular traits, metabolism and the immune response on disease pathogenesis. She believes metabolomics will serve as a tool in better characterizing infectious diseases such as HIV/AIDS, HIV-associated comorbidities, virus-host interactions, treatment response mechanisms and pathogenesis-associated phenotypes. 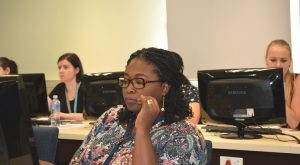 Dr Zandile C. Mlamla is a committee member of MSA and a post-doctoral research fellow at the Institute of Infectious Disease and Molecular Medicine (IDM), University of Cape Town (UCT). 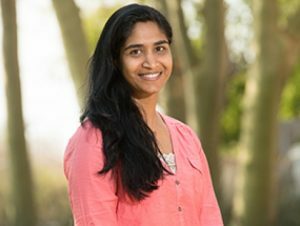 Her research is currently aimed towards the validation of urinary biomarkers of Tuberculosis Disease. She continues to gain experience and expertise in the cutting-edge field of MS-based lipidomics. 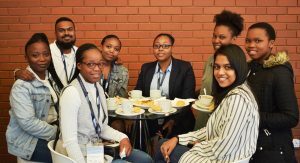 The future of South African metabolomics will be in great hands if the student sessions over the two days are anything to go by. 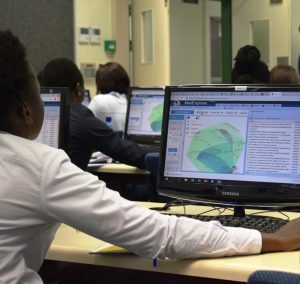 On day one, the student presenters were Mr Efficient Ncube from the University of Johannesburg, Mr Emile Jansen van Rensburg and Ms Monique Combrink both from the North-West University. 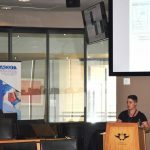 The student session on day two was by three students from the North-West University in Ms Karin Terburgh, Mrs Zinandre´ Stander and Christiaan van Zyl. The students presented their ongoing work and they received great contributions from the people that attended the symposium in the form of question and suggestions. Well over 140 delegates from over 25 institutions attended this symposium. 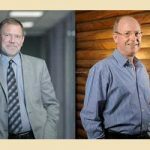 They consisted of principal investigators, post-doctorates, researchers, post graduate students and several industry players. The hope is that most of them will register as member of MSA and take an active role in the growth of MSA and metabolomics in general. The ACGT and MSA would like to thank all the delegates who registered to attend this event as well as all the members of the organizing committee; Mr Molati Nonyane, Mrs Itseng Malao, Dr John Becker, Dr Fidele Tugizimana, MSA Committee and the European visitors for all of their efforts in putting together this event. The ACGT and MSA would also like to extend their gratitude to the sponsors of this event in Shimadzu, Thermo Fisher Scientific, Microsep/Waters and the Embassy of France in South Africa. Please look out for more MSA and/or ACGT events similar to this symposium in the future. 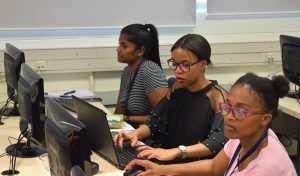 The Africa Centre for Gene Technologies (ACGT), in conjunction with the University of Zurich, University of Pretoria and the Agricultural Research Council, hosted a successful whole transcriptome sequencing (RNA sequencing or RNASeq) data analysis workshop for researchers from the 1st to the 8th of February 2019. The workshop was held at the Hatfield campus of the University of Pretoria. RNA sequencing aims to unravel the sum of all transcripts in an organism at any given moment in time and can give important clues to changes occurring in an organism following a variety of environmental cues or life stage transitions. 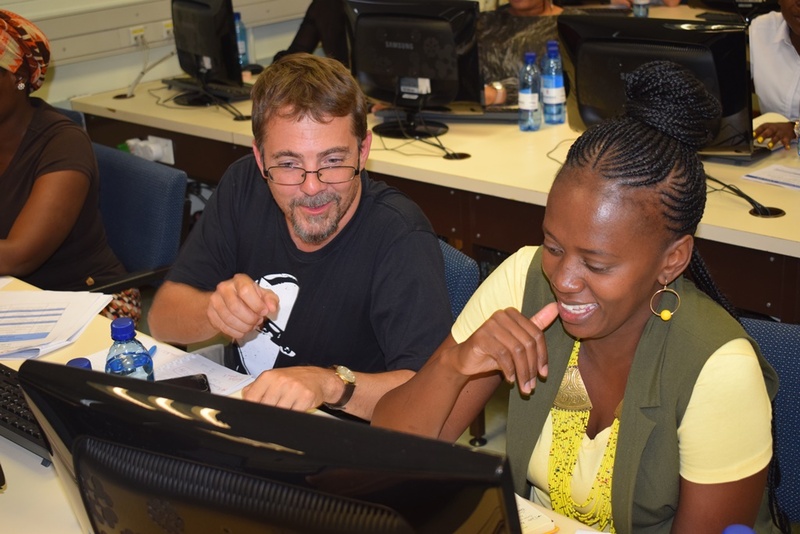 The workshop started with two days of introductory courses in Linux and R. The introductory courses were facilitated by Professor Fourie Joubert from the University of Pretoria and Dr Rian Pierneef from the Agricultural Research Council. 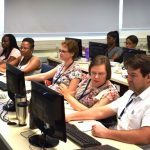 These courses offered the delegates basic command line skills needed to manipulate RNA sequencing data. 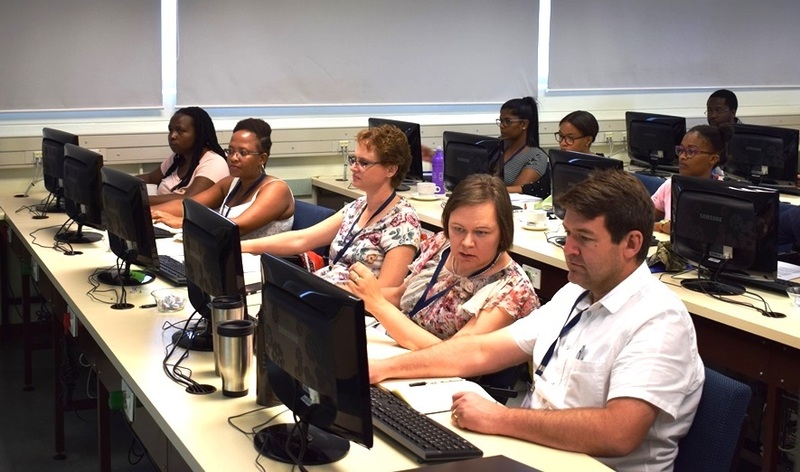 The two days of introductory courses were followed by a four-day interactive and hands-on RNA Sequencing workshop. The workshop was facilitated by renowned experts and academics from the Institute of Molecular Life Sciences at the University of Zurich in Switzerland: Professor Mark Robinson and Dr Simone Tiberi. Professor Mark Robinson is involved in research that applies statistical methods and data science to experimental data with biological applications within the context of genomics data types. Dr Simone Tiberi is a post-doctoral research fellow who is working on the development of cutting-edge statistical methods in bioinformatics, mostly for bulk and single-cell RNASeq data. 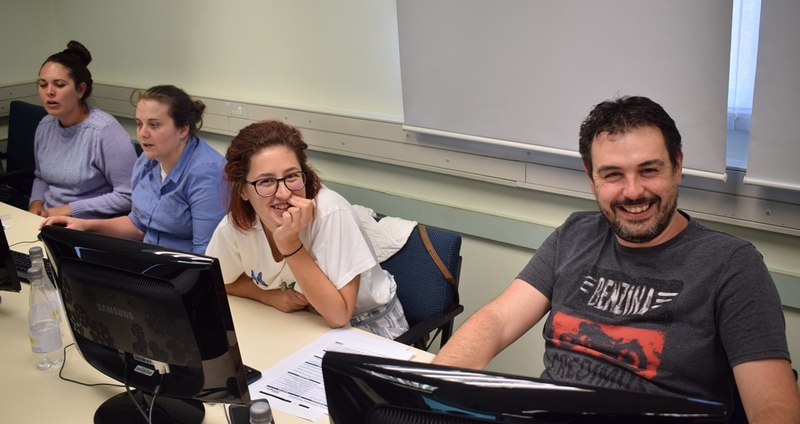 The workshop covered theoretical aspects of RNA sequencing such as new technologies, applications, experimental design, batch effects, dimension reduction, clustering, quality control, limma, normalization quantification and differential expression, among other things. 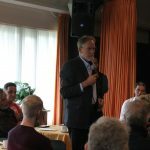 There were also one-on-one sessions with delegates to address their specific queries or to clarify any issues that may have arisen. 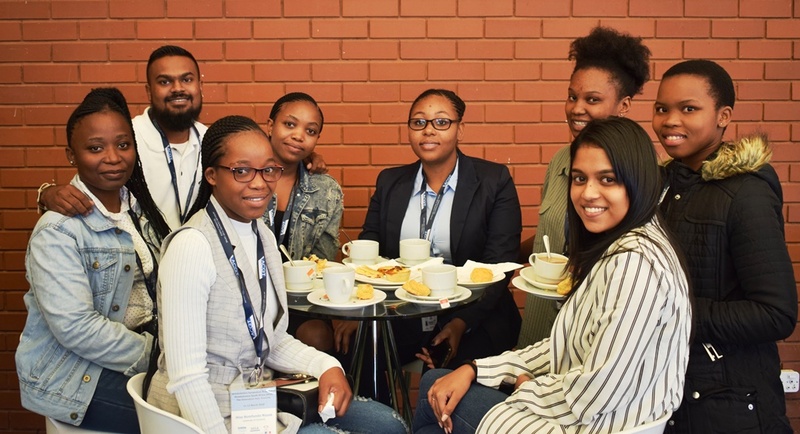 The delegates hailed mostly from the ACGT partner institutions; University of Pretoria, University of Johannesburg, University of the Witwatersrand and the Agricultural Research Council. The feedback from the delegates was very positive in how the course was designed, organized and conducted. The ACGT is hopeful that the course will be beneficial to all the researchers that came to the workshop and to those that work close with them. 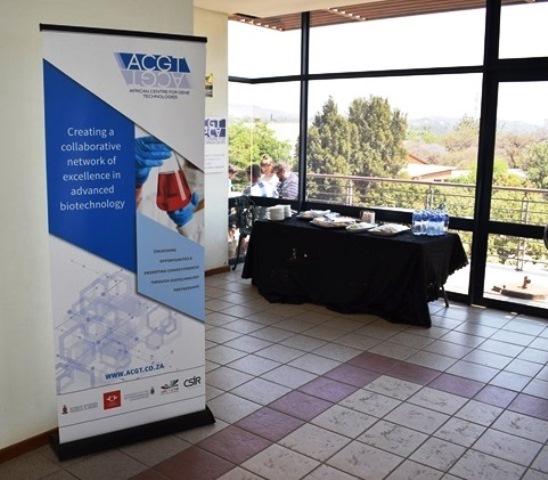 The ACGT and all of its partners would like to extend enormous gratitude to Professor Mark Robinson, Dr Simone Tiberi, Dr Rian Pierneef and Professor Fourie Joubert for sharing their time and expertise with the attendees. 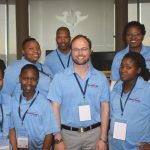 The ACGT would also like to thank Professor Fourie Joubert and Mrs Itseng Malao for all of their assistance in organizing this event. The Centre wishes all the participants the best of luck with applying their newly learned skill to their work. Who said learning isn’t fun? To view some additional pictures from the event please visit our facebook page. 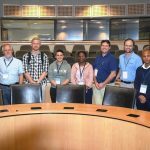 The second Regional Plant Biotechnology Forum for 2018, co-hosted by the ACGT and the University of Johannesburg, centered around plant-pathogen interactions; a particular area of interest for numerous researchers in the partnership and beyond. As is appropriate in the “-omics” and systems biology era, the theme for the forum was “Advances in Plant Defense Responses: Towards Plant-Pathogen System Perspectives”. The topic was deliberately chosen to provide a platform for those who aim to unravel such responses from a wider systems perspective. 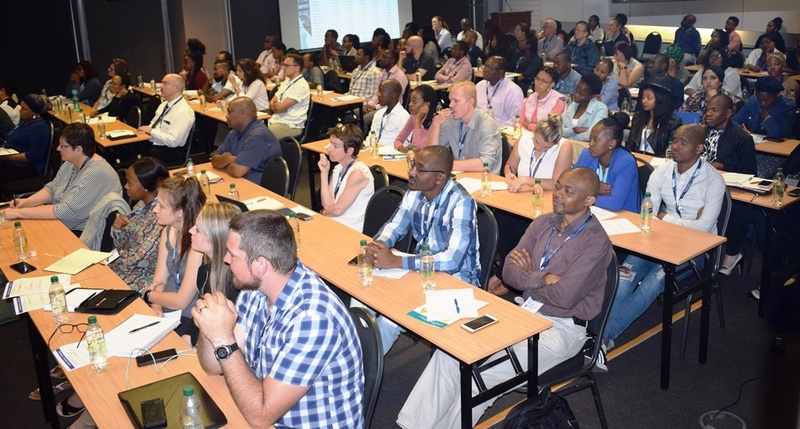 The wide variety of presentations, most with a focus on genome-wide approaches to deciphering plant defence systems, managed to attract in excess of 60 delegates from a range of universities, science councils (the majority being from ACGT partner institutions) as well as funders. The keynote speaker for the event was Dr Naadirah Moola, a researcher associated with both the University of Cape Town and the University of Ghent, Belgium. 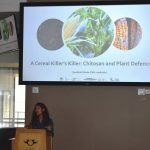 The title of her address was “A cereal killer’s killer: chitosan and plant defence”. 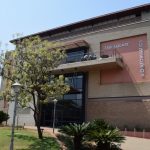 Her address was followed by ten additional presentations, mostly from researchers associated with the Universities of Johannesburg and Pretoria. 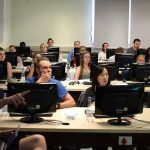 The presentations included studies utilizing technologies including transcriptomics, proteomics, multi-platform metabolomics, as well as combinations of the above. In addition, classical biochemical approaches were also utilised in addressing the research questions at hand. 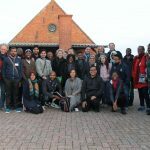 The forum provided an excellent networking opportunity for researchers active in this field and exposed them to different approaches to elucidating plant-pathogen interactions in different systems. 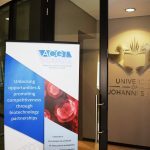 The ACGT would like to sincerely thank the organizing team at ACGT (Thabo Khoza, Molati Nonyane and Itseng Malao), as well as UJ (Dr Farhahna Allie, Dr Ian Dubery and Dr Fidele Tugizimana). For any queries about future Plant Biotechnology fora or suggestions for topics related to forums or workshops in this field, kindly contact Mr Thabo Khoza, ACGT Liaison Scientist, az.ca1555893455.pu@a1555893455zohk.1555893455obaht1555893455. For any other capacity building and networking queries, kindly contact Mr Molati Nonyane, ACGT Liaison Scientist (az.ca1555893455.pu@e1555893455nayno1555893455n.ita1555893455lom1555893455, 012 420 6139).